While not strictly an engineering feat, my sisters and I constructed an igloo from snow brick over the course of two days while over break. The bricks were formed using bread pans, and I stacked them into the shape. The brick pattern is only visible on the dome because a snowstorm hit during the night after the first day of construction. 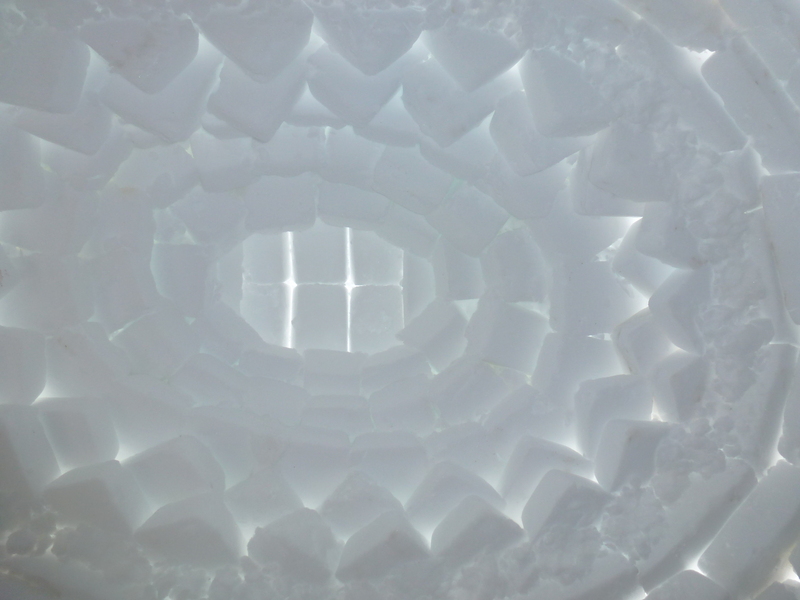 The interior of this igloo took a lot of thinking. I knew I had to support the interior structure or it would fall, but I also couldn’t bring the arch together quickly enough. I ended up opting to rotate the brick on each new level until they were horizontal. This closed the gap much more quickly and efficiently than if I had used a classical dome construction style.